Lyme disease neck pain describes symptoms in the cervical region that come about due to exposure to the bacteria that causes Lyme infection. Both early and late stage cases of Lyme disease can create expressions in the neck, including stiffness, pain and neurological dysfunction. Lyme disease is a hotly-debated condition and remains controversial in many ways. Positive diagnosis might be difficult to achieve and the disease is often mistakenly identified as another completely separate disorder. Proper treatment is another unclear aspect of the disease, since many cases require no treatment at all, while the majority of presentations respond well to typical antibiotic therapy. In a minority of cases, the disease gets a firm foothold and becomes a chronic treatment-defiant terror that can debilitate patients completely. This focused essay details the relationship between Lyme disease and neck pain, as well as provides a general overview of some of the lesser known facets of the condition. Early stage Lyme disease begins to manifest itself within a few days of an infected tick bite. The first symptoms of the disease are called early stage localized expressions, which is really an inaccurate term, since some of these symptoms might become systemic almost immediately. Neck pain might exist due to lymph gland swelling, general inflammation or simply sore muscles that are commonly experienced following initial Lyme exposure. Many victims describe the initial month of symptoms as being similar to a case of influenza, including characteristic stiff and painful neck muscles. Early stage disseminated symptoms typically occur within days to weeks of initial exposure and will increase the effects of the condition dramatically in untreated patients. 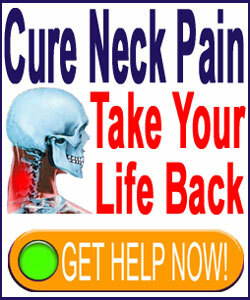 Neck symptoms may include idiopathic shooting pains, disturbing neurological sensations, continuing stiffness and muscular discomfort. 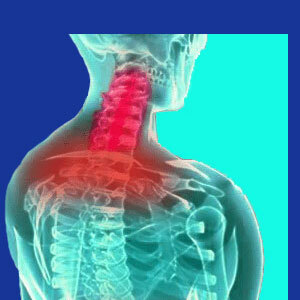 A selection of patients also report pain in the upper spinal joints, as well as in other large bodily joints. This discomfort ranges from dull and achy to sharp and shocking, typically upon movement. Some patients are stricken with meningitis, which is a very serious condition involving contamination of the cerebral spinal fluid that surrounds the spine and brain. This can also cause additional pain, stiffness and discomfort in the greater neck anatomy. Late stage dissemination of Lyme disease might occur in patients who do not receive appropriate care in the form of antibiotic therapy. Statistics show that once the disease becomes entrenched, it may never respond favorably to treatment, even if dramatic interventions are rendered in the future. Late stage neck symptoms might mirror early stage versions in many patients. However, there are also additional symptomatic patterns that may evolve over time, including arthritic-induced pain and swelling in the joints of the body and the spine. This form of Lyme-enacted arthritis does demonstrate some characteristics that separate it from other more common forms of cervical osteoarthritic processes. This is what eventually allows some patients to achieve a positive diagnosis of Lyme exposure, often too late to do much about effectively treating the condition. Although not affecting every patient, other Lyme-related problems that can cause neck pain include the development of encephalitis or encephalomyelitis, most often in combination with meningitis. These conditions describe inflammation of the brain or spinal cord and can become terribly symptomatic and even life-threatening. Many patients are affected by widespread neuropathy conditions, including spinal pain that is often diagnosed as Bannwarth syndrome. Fibromyalgia and other autoimmune disorders affect many later stage Lyme patients, since the disease has long-term effects on the overall immune functionality of the anatomy. Bullseye-shaped rash, called erythema migrans, localized around the bite location. Other locations of EM might appear weeks after infection on other anatomical targets. Fever, chills and other flu-like expressions typically begin within 2 to 3 days after initial exposure to the Borrelia burgdorferi sensu stricto, Borrelia afzelii or Borrelia garinii bacteria. Facial palsy is commonly experienced in early dissemination of the disease. Likewise, fatigue, listlessness and sleeplessness are common early stage symptoms. Most importantly, the patient would need to come into contact with an infected blacklegged tick, which only reside in particular geographical areas. To learn more about Lyme disease and how it may be the unseen cause of chronic neck pain symptoms, be sure to speak to your physician or continue researching the condition from reputable sources, such as the CDC website.